New! 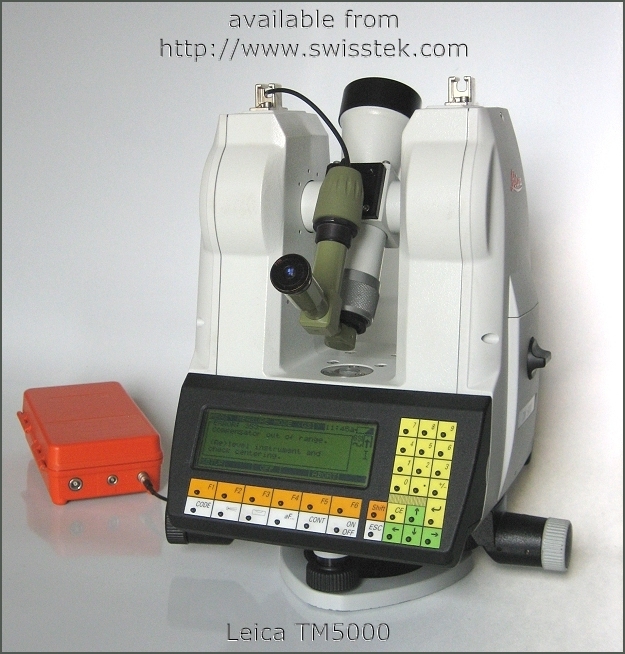 Leica TM5100A Motorized 0.5" with autocollimation device and pan-focal telescope, incl. dual keyboard display. Available from stock. Email or call for best Price. 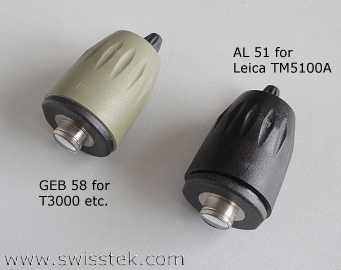 Linear Piezo Motors are used to achieve .07" arc second resolution with an angular accuracy of ±15µm +6µm or ±0.0006" arc sec. +0.00007"/ft. 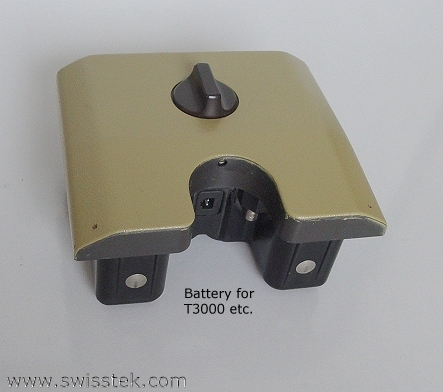 PowerLock tracking follows a moving 1.5” corner cube, or retro prism continuously. 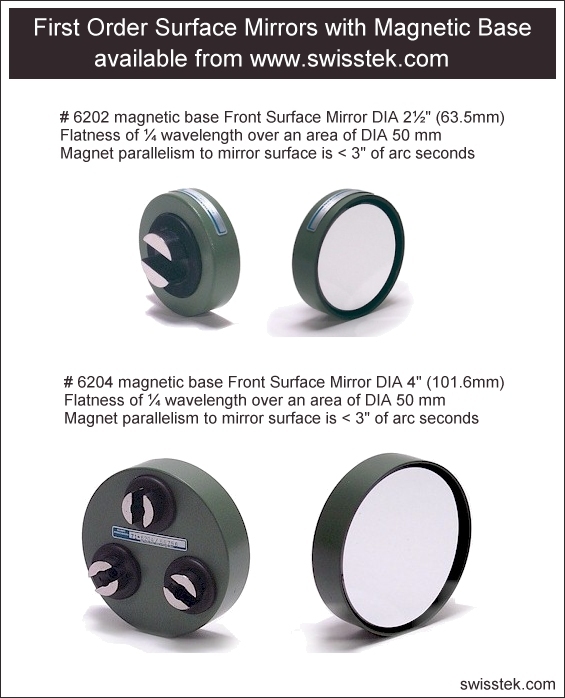 This PowerLock feature, together with a first order surface mirror, can also be utilized to auto-autocollimate. Linear Piezo Motors are used to yield a .07" arc second resolution with an angular accuracy of ±15µm +6µm or ±0.0006" arc sec. +0.00007"/ft. 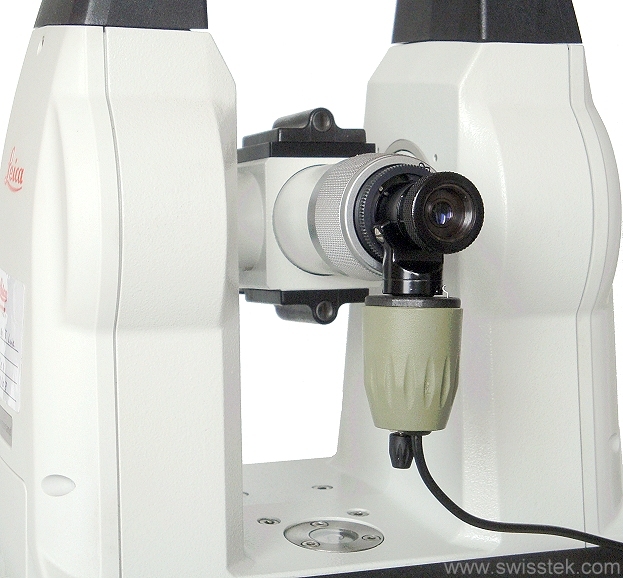 Distance range is 160m with an accuracy of ± 10µm measured up to 80m. Comes with built in live video, gravity fluid sensor, IR remote control and wireless LAN 802.11g interface. 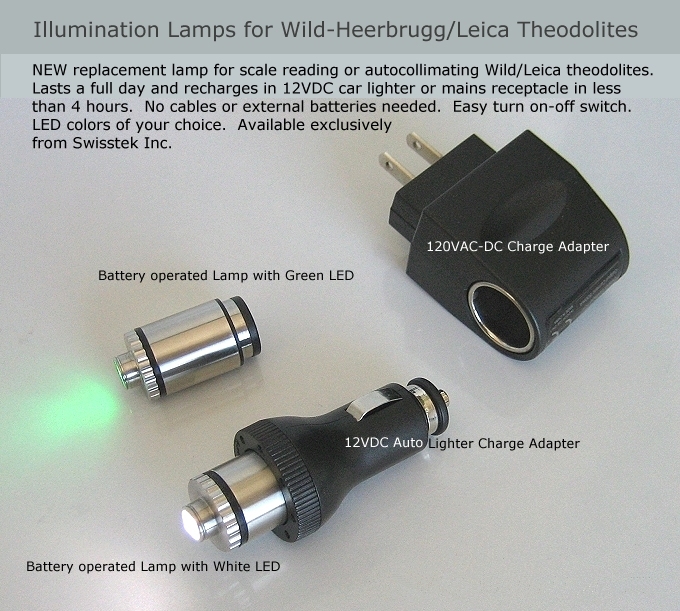 Can be powered by internal Lithium-Ion battery, external AC or optional PoE+ . 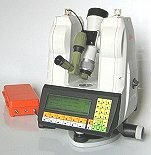 Leica TM5000 Motorized 0.5" Theodolite shown with optional exchangeable standard Gauss autocollimation eyepiece and adjustable light source. Optional Axyz MTM software package. 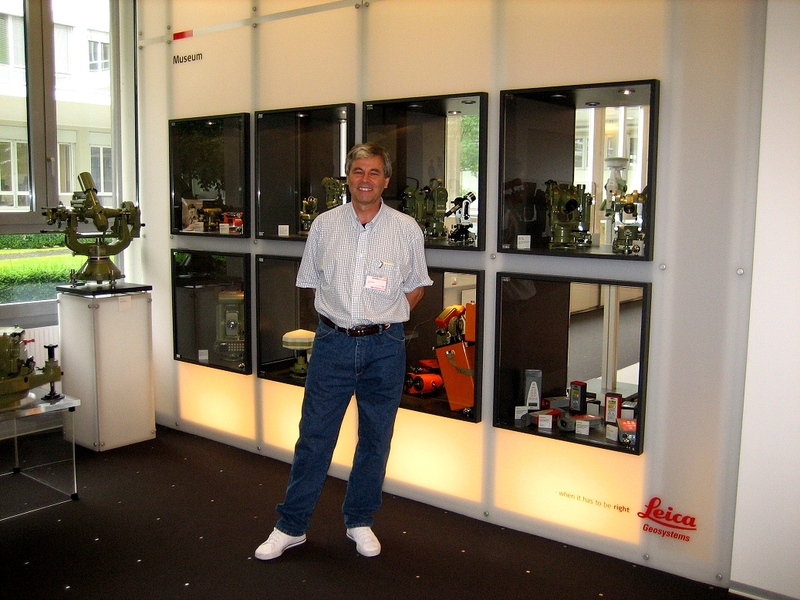 Leica TM5000 Motorized 0.5". Same specs. as the TM5100A but with a fully transitable 32x power telescope and bull's eye crosshair reticule with five concentric circles. Available with optional Axyz MTM software package. 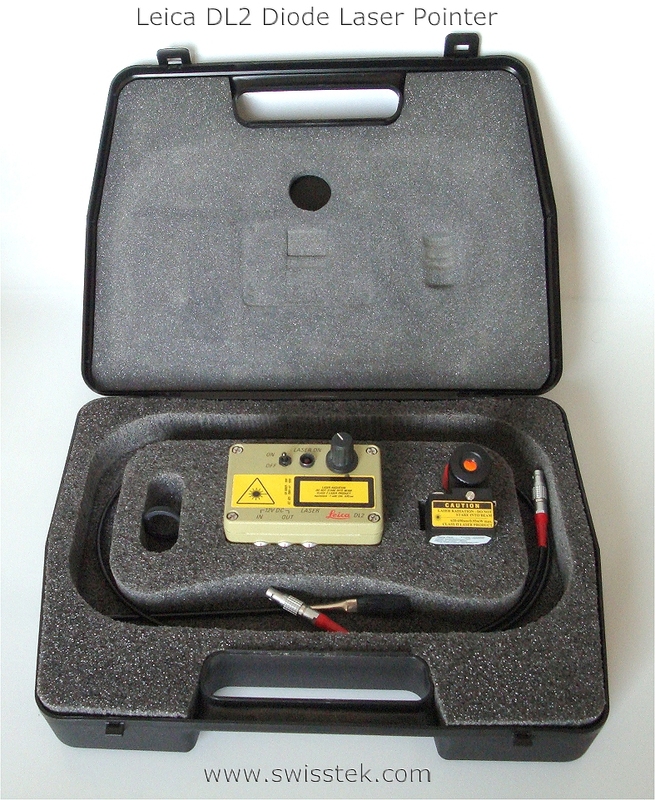 Can be interfaced with the Gyromat 3000. Leica GEB171 external Ni-MH Battery 12V / 9.0Ah lasts 5 x longer than the on-board battery. 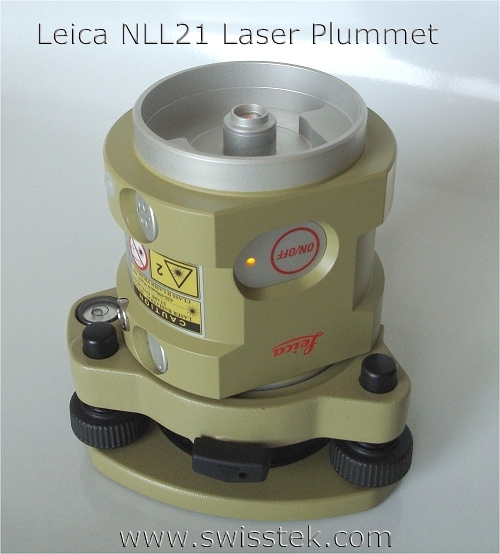 For field use with all Leica theodolites like T3000 TM5100A, TM6100A, total stations etc. 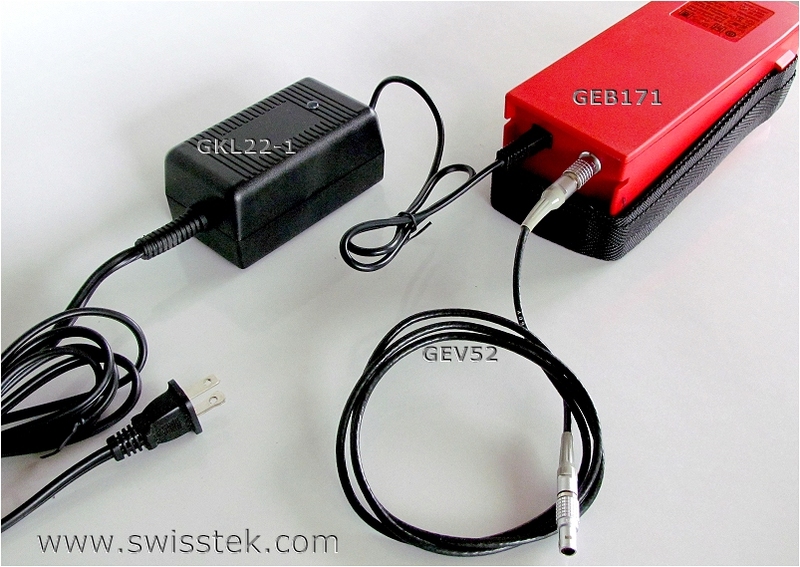 Available with four foot long GEV52 power cable and GKL22-1 battery charger. 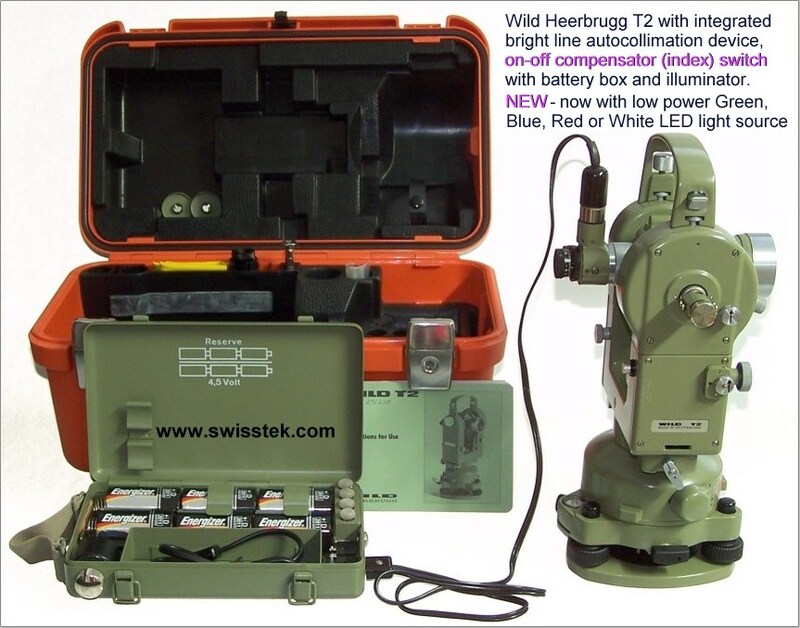 Wild-Leica T3000A 0.5" pan focal sub-second theodolite with autocollimation device, lamp and battery. 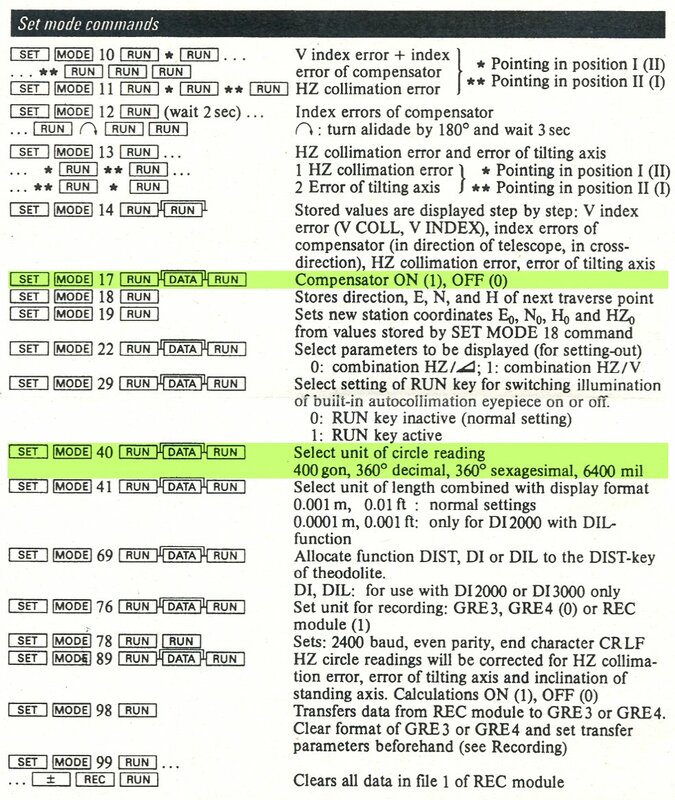 Click here for Command and Set Mode Summary. The distance range is typically 160 meters. 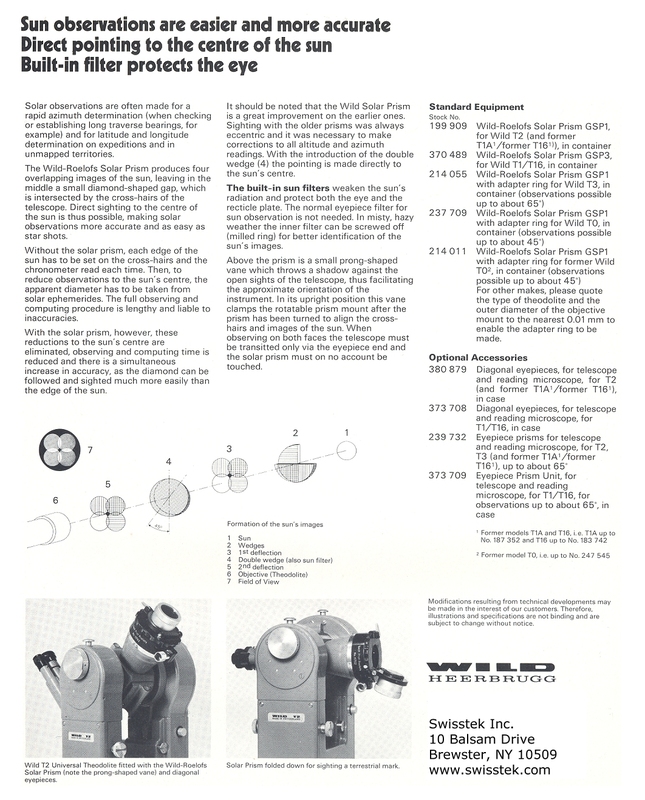 Click image to print out more information. 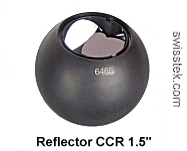 Air path corner cube in black (swoxed) spherical housing. 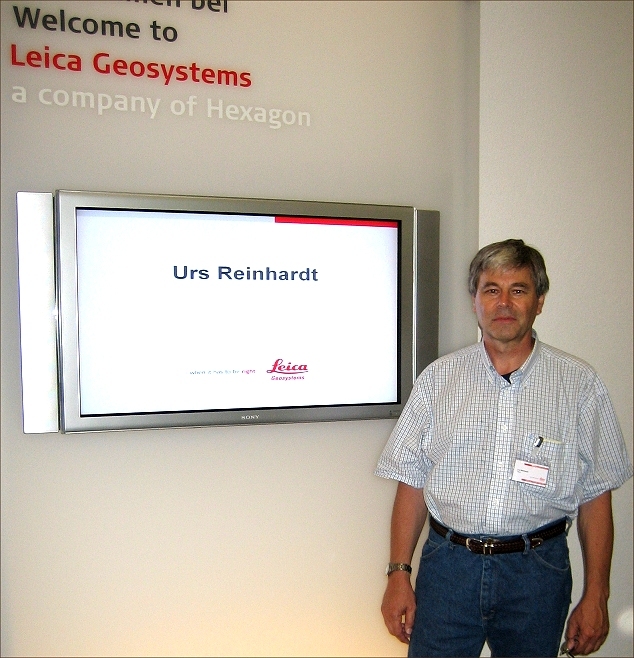 Used for Leica TDM5005, Leica TDA5005 and Geosystems Laser Trackers. 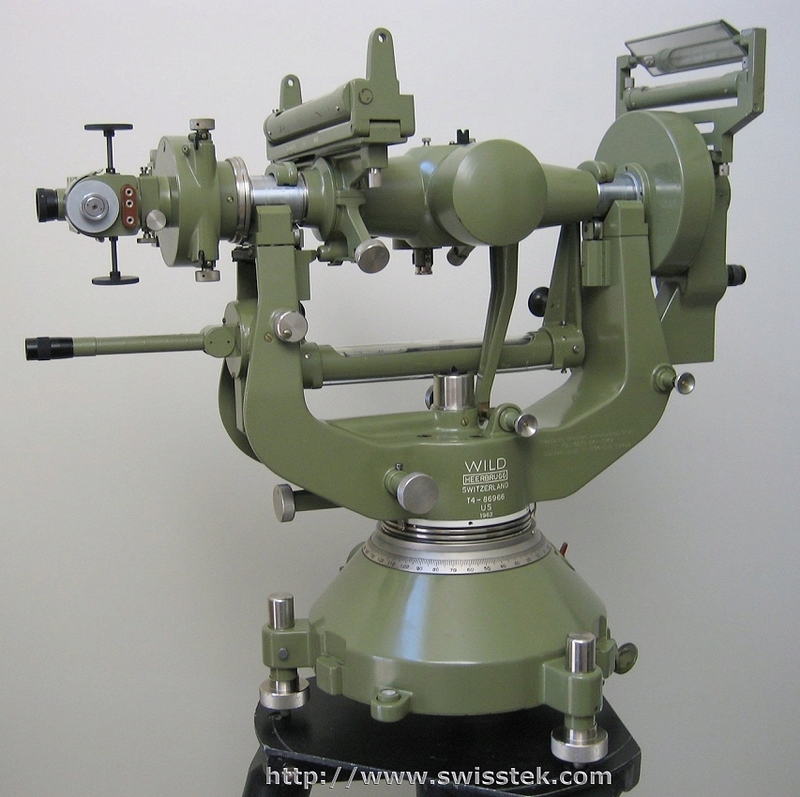 with bayonet-type eyepieces. Click image to show complete set. counter- balanced battery and charger. 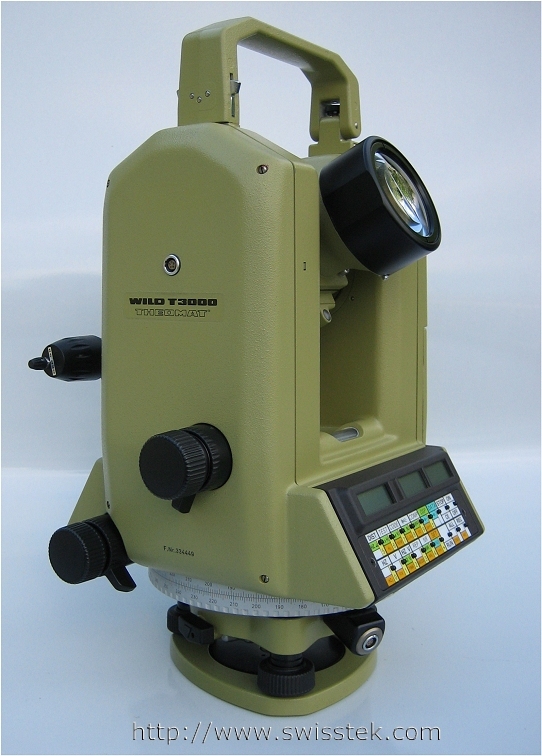 Wild Roelofs solar prism for sun alignments, mounts on Wild T2 etc. 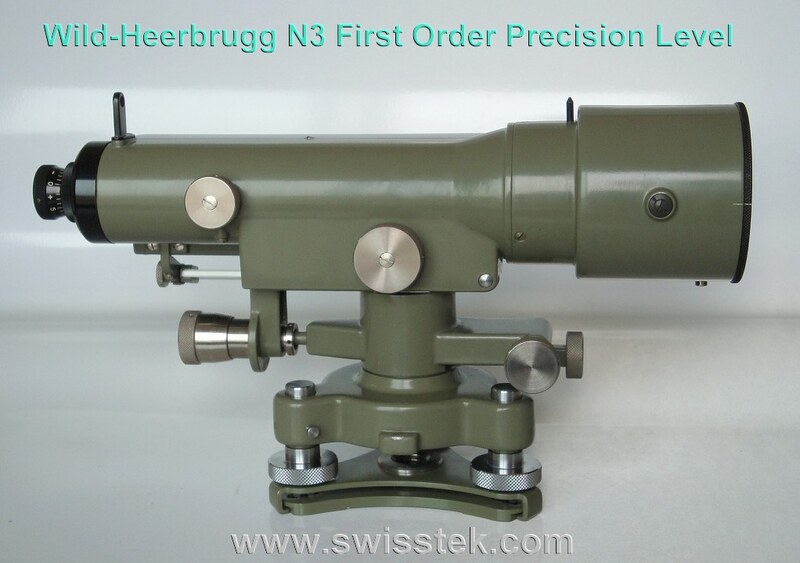 Can be mounted to any theodolite with appropriate telescope adapter. 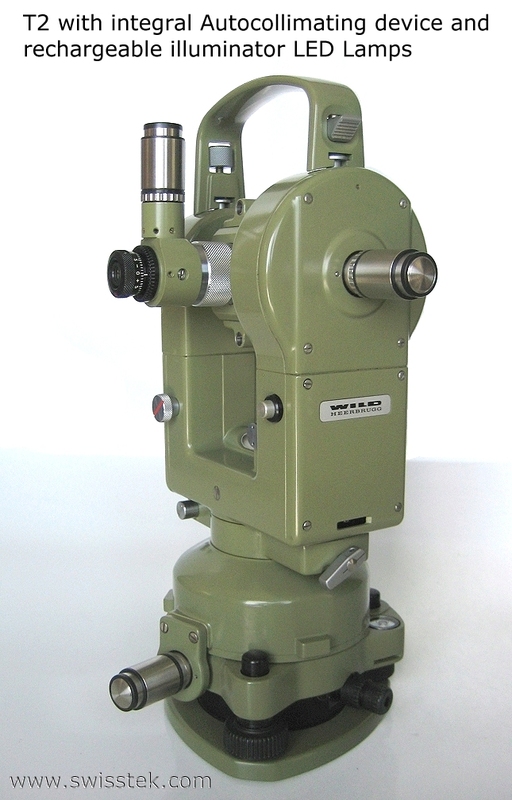 Wild T4 Universal Instrument with 1/10" arc second accuracy. 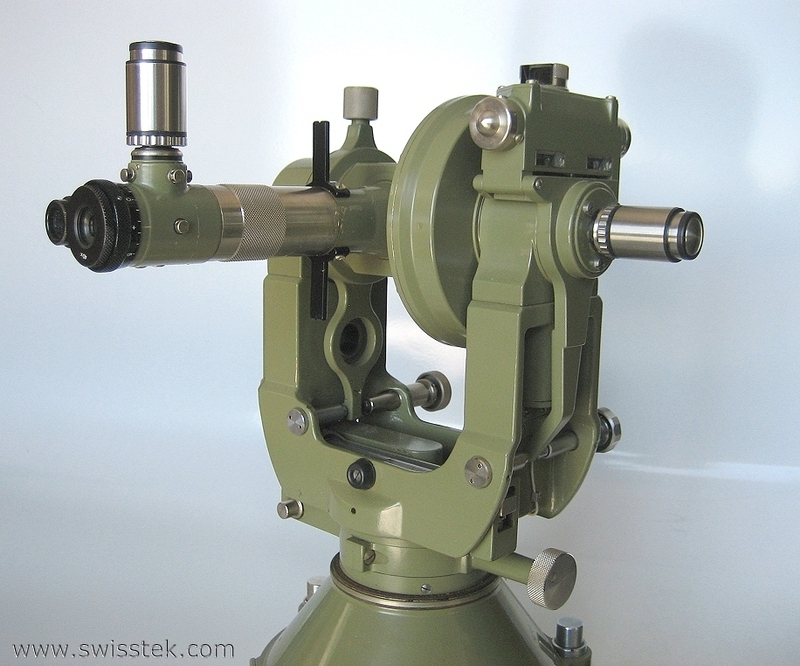 Found its use often in National Geodetic Surveys. 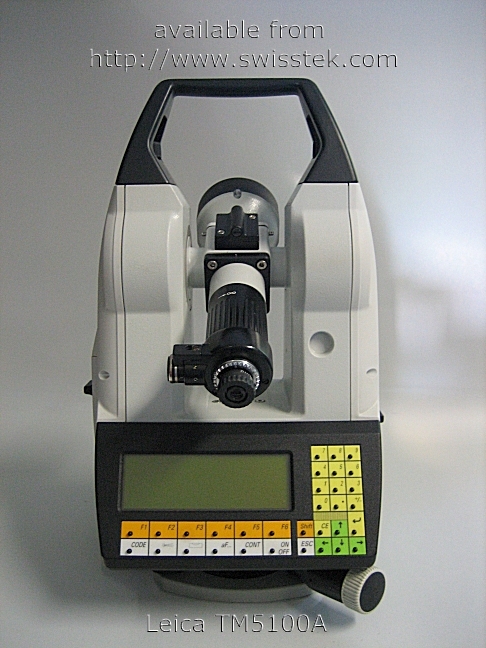 Wild N3 Precision Level with 10mm metric parallel plate micrometer, resolves to 0.1mm and 0.01 by estimation. Tubular level accuracy is 10"/2mm. 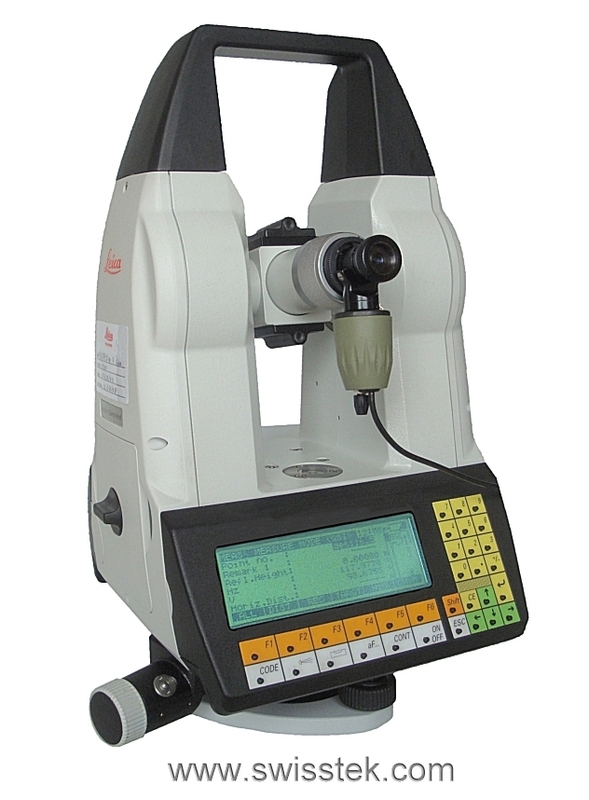 Also available with 0.5" imperial parallel plate micrometer, resolves to 0.001" and 0.0005" by estimation.